“We were born to create and collaborate, resolve problems, love and play. That’s why social media has been so popular. We can’t help but be attracted to something that lets us be more human. It’s a deeply powerful force. In the face of rapid change taking YOU to the limits of your talent, knowledge, and energy, you are being called to be a new kind of Leader – unstoppable and yet, more human – authentic, compassionate, healthy and receptive to new Possibilities. BEING IN THE MILLIONAIRE MIND MASTERY GAME gives you access to these three solutions and MORE! In this 90-day game you have access to a new level of thinking, let go of behaviors and beliefs that deplete your energy, and free you to step into Leadership as an act of Creativity. Revitalization – Take time away from day-to-day concerns in an environment free of stress; engage in new levels of conversation, Mastermind and collaborate with Millionaires and other Leaders; engage in high play…End each day with gratitude and the ability to accomplish more with grace, ease and joy. Leadership – Daily, have personal INTEGRITY support for doing what you say you are going to do PLUS, learn new and effective Financial, Sales, and Marketing strategies from Leading Experts. Produce extraordinary results, manage business and life decisions from an overview of everything there is to do; lead with clarity; be more productive in less time; produce sustainable wealth results…with more EASE and JOY! THE MILLIONAIRE MIND MASTERY GAME! is designed for you to…. 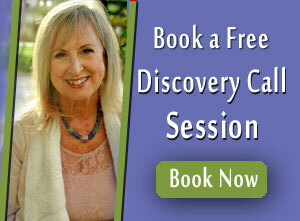 access a new level of Wellbeing, Intuitive Knowing, and your Authentic Voice. anchor Core Values of Love, Compassion, and Creativity into Business and Life. engage in Crucial Business Conversations with ease. articulate a wellspring of Wisdom with family and a younger generation of Leaders. measure for Results in Power, Profit, and Quality of Life. MichelJoy DelRe, President/CSO of New Century Productions, Inc, is a highly trusted Architect of Change, has inspired thousands of CEOs and entrepreneurs to start with an idea, fuel it with passion, and engage in unreasonable actions to fulfill their vision…..and she does it with complete heart! She knows first-hand that MIRACLES are possible! As a single Mom with no savings and a past bankruptcy in her credit report, MichelJoy invented the possibility of owning her own home. Six months later, she walked into her home….MORTGAGE-FREE. Client endorsements… “wrote my biggest proposal ever” “have unbelievable energy in our company” “confidence that I CAN have it all” “revitalized…the importance of a work-life balance” “closed our fiscal year in a position never attained in 35 years” “grew from $60K to $300K in one month, to $3M in one year”. The normal investment for this program is $1997.00. Right now I created this limited offer for the program.